Mathalicious is an excellent resource for Math teachers. This site helps educators teach Math through real world engaging problems. Also, Mathalicious lessons are aligned to common core standards that promote problem solving and critical thinking skills. Best of all, Mathalicious has a wide variety of resources for teachers such as: handouts, lessons guides, and presentations. 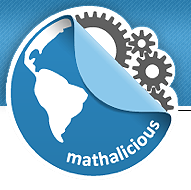 I highly recommend checking out Mathalicious by clicking here!! !